BUCCC Bulls would like to welcome back all our Junior Cricketers for another successful year. Junior Registrations are open for the 2018-19 season along with our “Junior Blasters” running from 21st Oct 2018 to 3rd Mar 2019 Sundays 9am – 10:30 am. 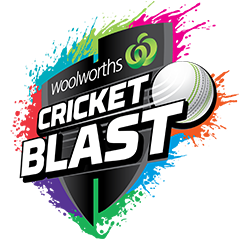 Junior Blasters is for kids new to cricket with participants building their skills through fun, game based activities. The games are designed for small groups to ensure every child gets a go, allowing them to test and learn new skills. When they have mastered the basics they will be ready to graduate to Master Blasters where they can play modified games of cricket or move into junior cricket. BUCCC has a number of Junior teams playing in the ECA competition, starting with U10 & U12 Saturday mornings. On Friday Nights U14, U16, & U18 play giving some an opportunity to also play in some senior games. We are looking for expressions of interest in an all girls team to play on Wednesday nights. Please contact our Junior Coordinator for details. As a family club, we encourage all family members and friends to attend the games. It is quite a common scene at a BUCCC match to have 15-20 spectators supporting the team. All parents, families and friends are welcome at the club. Coaches are usually parents or senior players for the club. Team Manager assistance is provided via the ECA Social media application “Team App” updated by the club showing the season fixture, season ladder, the next game details, and rule changes. It provides a “Chat” function for team updates and can be used via the mobile application or web page with Email updates. Training times for all teams are held throughout the week after school hours and is held at Lynden Park, Lynden St Camberwell. More information, contact details and player registration is via our My Cricket registration page. If you would like your child to play with the Burwood Uniting Canterbury Cricket Club, or would like any further information regarding our teams or programs, please don’t hesitate to contact our Junior Coordinator John Sandy 0439 009 391. BUCCC is a signatory to the Cricket Australia and Cricket Victoria child safety policies.